This week’s instalment of the #SBIDinspire series features JHP Design’s stunning Muscat based Amouage project. Middle Eastern brand Amouage is a luxury perfume specialist. Known for incorporating local Frankincense into their perfume they have now expanded the brand to include home and accessories. The centre in Muscat integrates perfume production, a working factory, offices, a visitor centre and a very sophisticated shopping experience. SBID had the opportunity to speak with Creative Director & Joint Managing Director Raj Wilkinson. JHP worked on the project for more than five years with a remit that included the centre’s architecture, visitor experience, landscaping, and retail design. As the Amouage brand grew internationally, and with more and more people visiting Oman, more people became exposed to the brand. It was a natural decision to expand the home of the brand – its factory. The design of the new building was to enable the business to increase its production to 20,000 bottles per week from the current 8,000 as well as to provide a memorable experience for tourists and visitors to be educated in all aspects of perfume creation. The factory’s design was influenced by the brand itself. The Amouage brand palette was taken into the more industrial aspects of the factory. It was expressed liberally in the more luxurious aspects of the visitor centre and by way of a slight diversification in a minimalist way it is employed in the retail gallery. 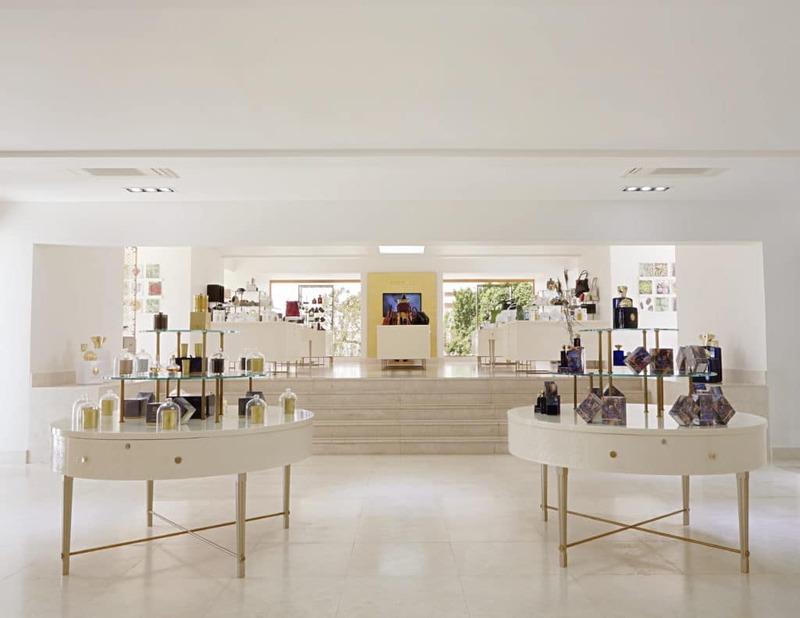 We consciously paired back many conventional retail and display strategies and displayed the product in glass boxes in an environment more akin to an art gallery than a retail store. 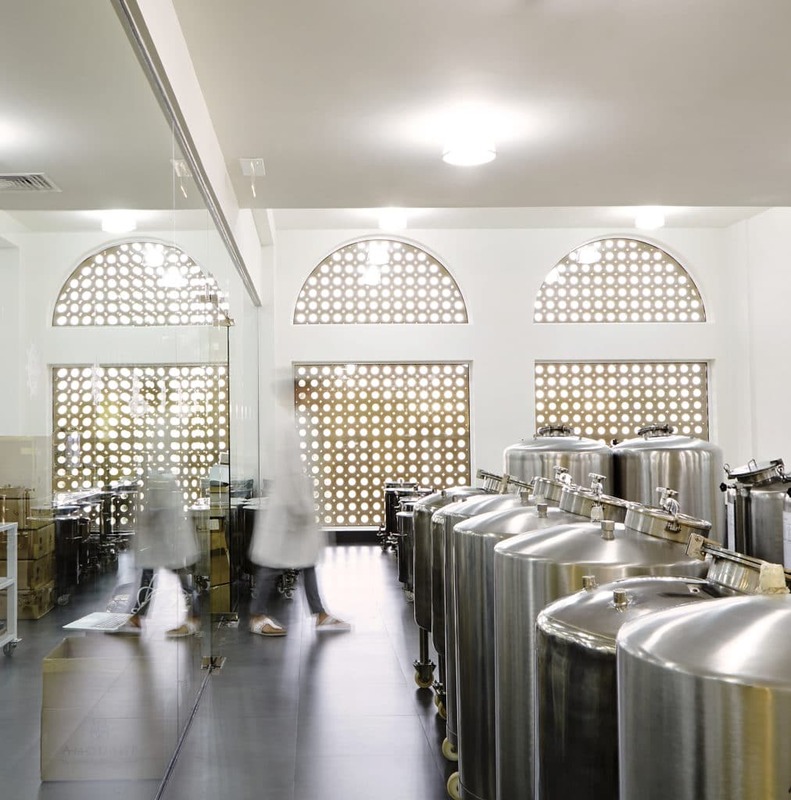 The main challenge arose from the complexity of managing a design programme which was based around the construction of a new building on an existing facility which included live buildings such as Amouage’s offices and original factory. The existing factory carried on in operation before it was part demolished and part integrated with the new offer. The second issue was in meeting the client’s aspirations for the building to be of the highest international standard, juxtaposed against the capability of local manufacturing and sourcing of materials. In order to overcome this, JHP undertook an extensive briefing process with the local implementation team and researched endless alternatives and sourcing outlets for key materials and finishes. Our highlight would probably be the success of JHP’s work with Amouage. The new retail offer, factory and visitor centre is the showpiece the Amouage’s growing retail presence. It has greatly contributed to the brand’s growing reputation as one of the world’s most highly respected perfume houses. 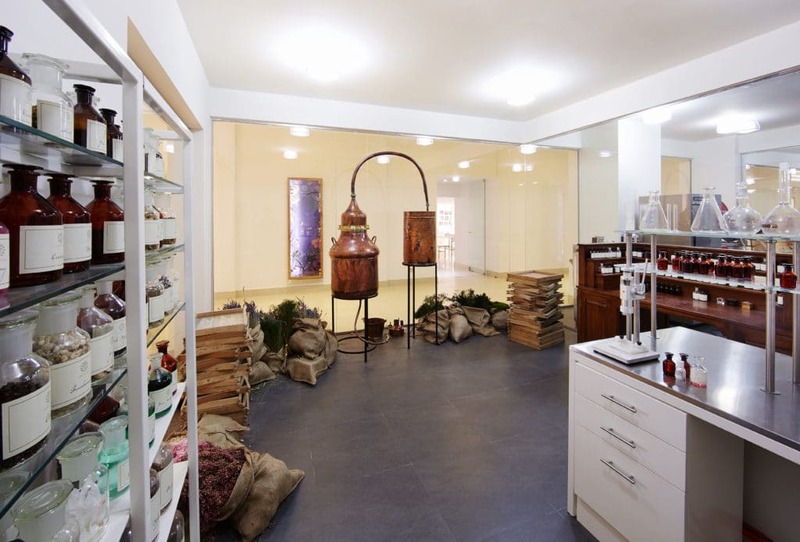 It has also lead to the greater contribution to visitors’ understanding of the various stages of perfume manufacturing, from ingredient maceration to bottling and packaging as well as explaining the perfume extraction process. 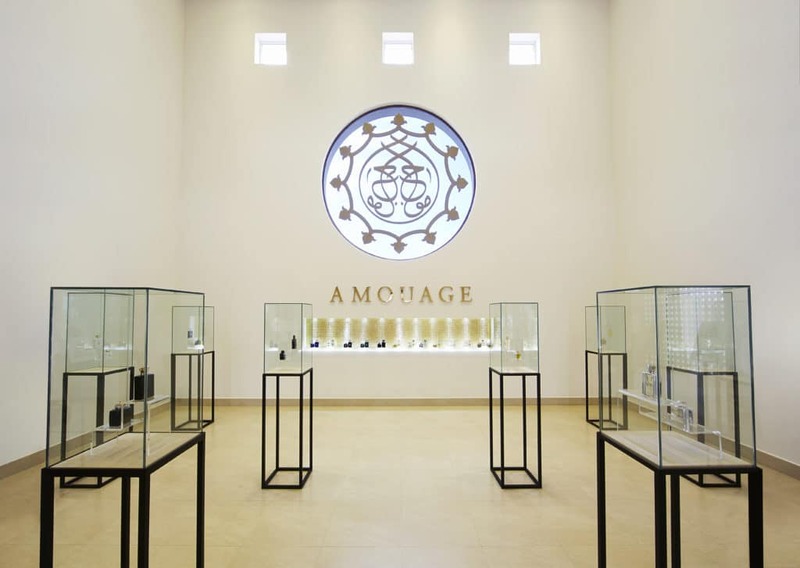 According to Amouage’s CEO Mr. David Crickmore, the new retail and factory facility created by JHP has given Amouage the capacity to produce and sell its products at its current location for at least the next ten years. 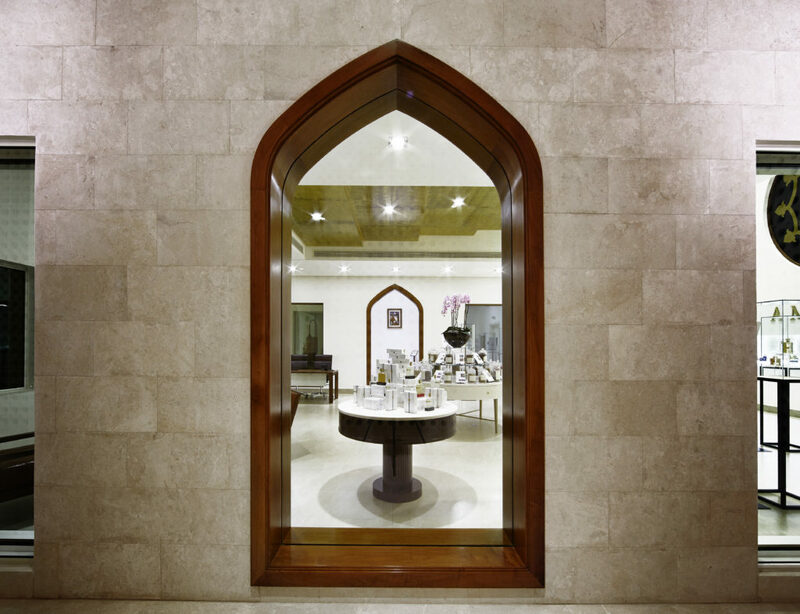 The new Amouage factory and visitor centre has firmly established itself as a true retail destination and ‘must visit’ attraction for all visitors to Muscat. Our work for LOTTERIA has received huge publicity across numerous retail publications in Europe, America and Asia and was very well received on social media. We are very proud of what the team has achieved and of the project’s results. The SBID International Design Awards are very prestigious and we’d be honoured to have our work appreciated and shared by such a great organisation.